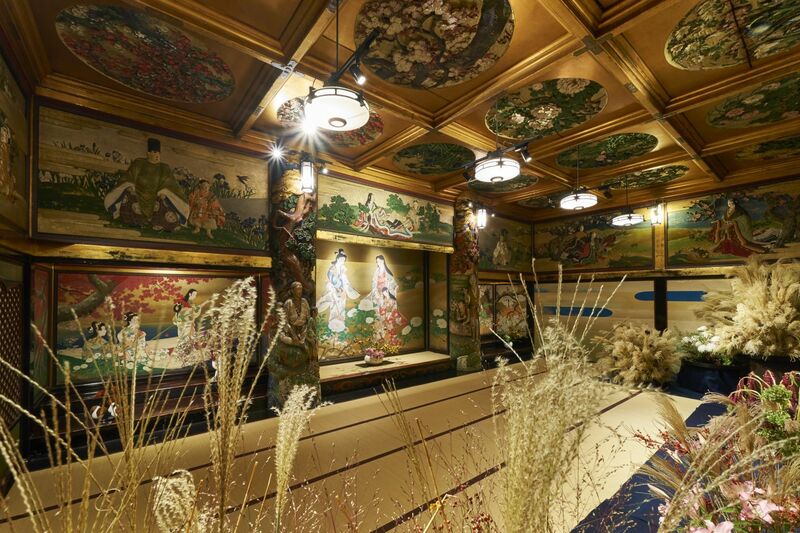 A 90 years-old museum hotel in Meguro, Tokyo, knowns for stunning design of interiors, holds an artistic floral arrangement show. 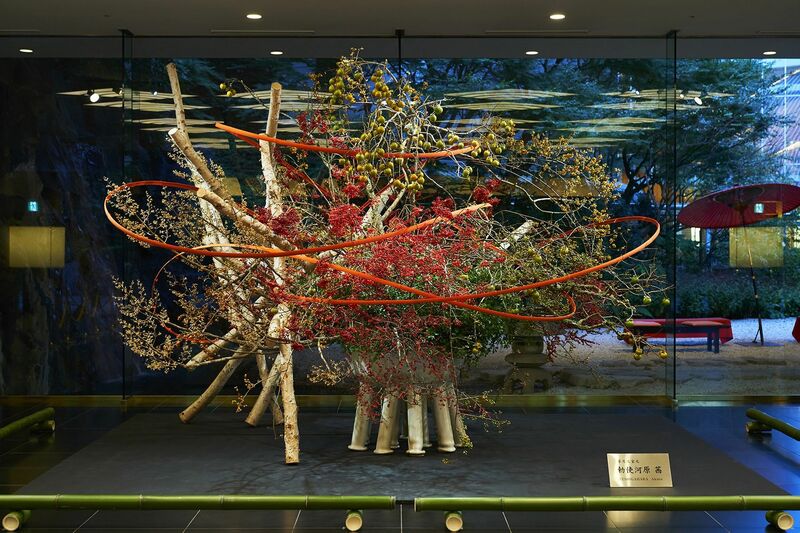 This flower exhibition boasts its popularity and more than 250 thousand people have visited since the first show held in 2013. In 2017, 60 thousand visitors have enjoyed the spectacular show of glorious floral arts. 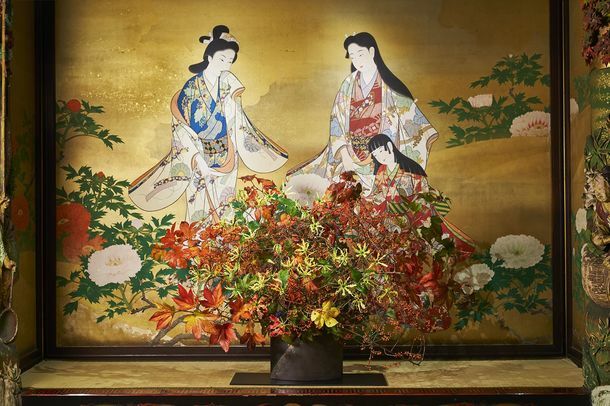 During the exhibition period, floral artists from 57 of Ikebana schools exhibit their artworks every one week in turn.The venue is Hyakudan Kaidan in Hotel Gajoen Tokyo, a cultural property of Tokyo, has breathtaking appearance filled with splendid paintings. 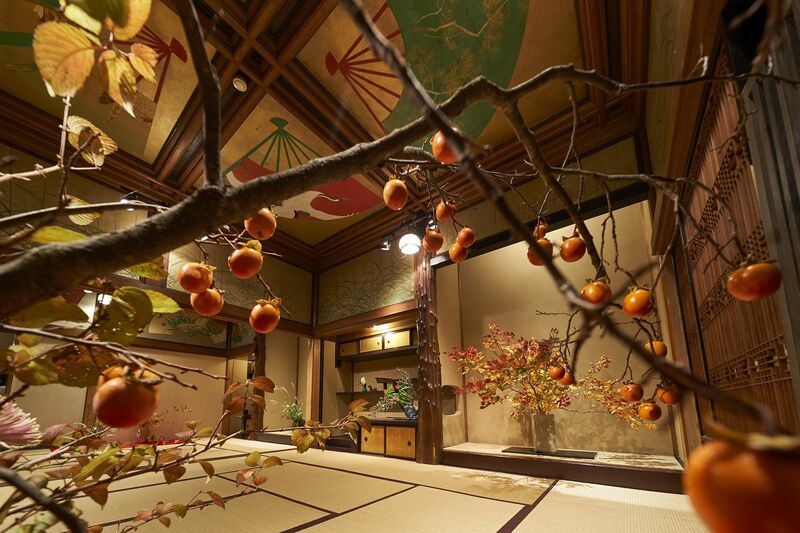 2300 JPY for a passport valid during the exhibition period.